It’s official! 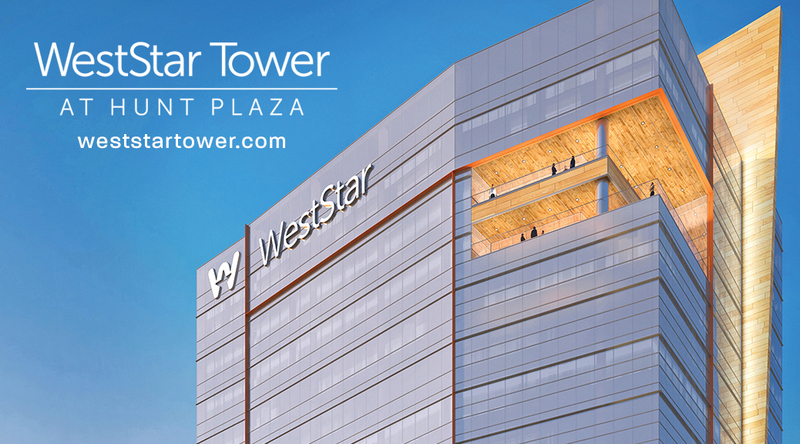 The WestStar Tower at Hunt Plaza will be the first tower built in El Paso for more than 40 years and we’re proud to share in the excitement with a launch of their website. The WestStar Tower is an 18-story state-of-the-art building with parking, retail, dining and office space located at 601 N. Mesa. The WestStar Tower website was programmed with a parallax scroll effect that resizes to fit any screen. As users scroll, animated content populates each segment drawing attention to key information while background images add depth to each area. Visitors also have the option to click directly into the content they desire such as: features, floor plans, gallery, location, development partners and leasing. Included in the website are videos, floor plan and brochure downloads, downtown statistics, maps, and a photo gallery. We look forward to not only the multiple visits to their website, but also the completion of WestStar Tower expected in Summer of 2020! I can’t wait for this WestStar Tower to rise in the downtown El Paso skyline. I’ve been checking if there is any ongoing progress at the construction site. But still no movement as of September 3 2018, I’m a skyscraper enthusiast from El Paso and have been so since 1968!